The kid has been obsessed with the kitchen and helping in the kitchen and banging on pots and pans, so we decided it was time to get a play kitchen. But we didn't want just any play kitchen, we wanted something that would look good sitting in our mid-century home for the next few years. 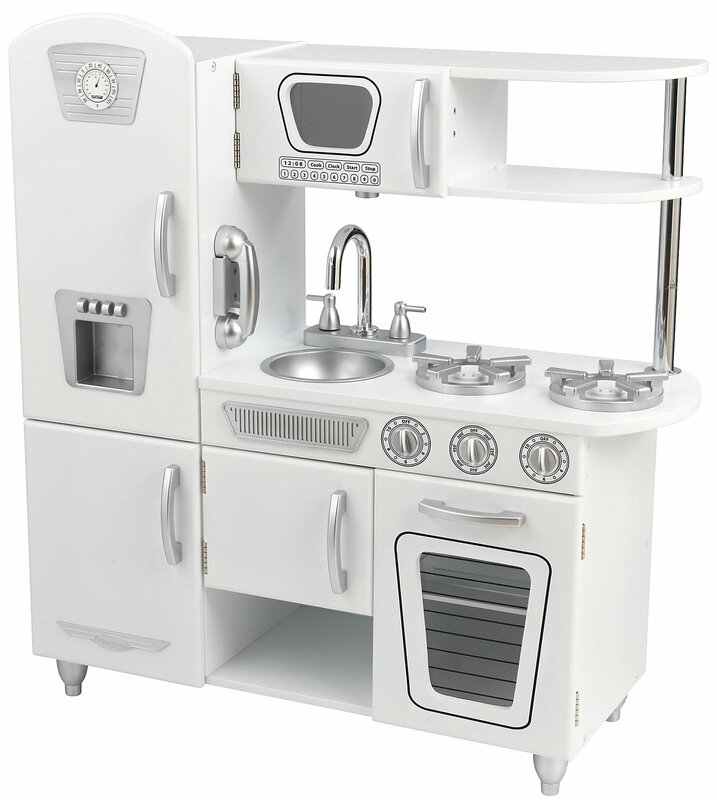 We looked at a few play kitchens but ended up getting a white KidKraft Vintage Kitchen. 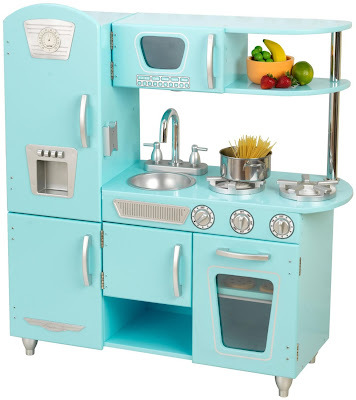 It's the best mid-century play kitchen we could find; it's got a great retro dinner look to it. 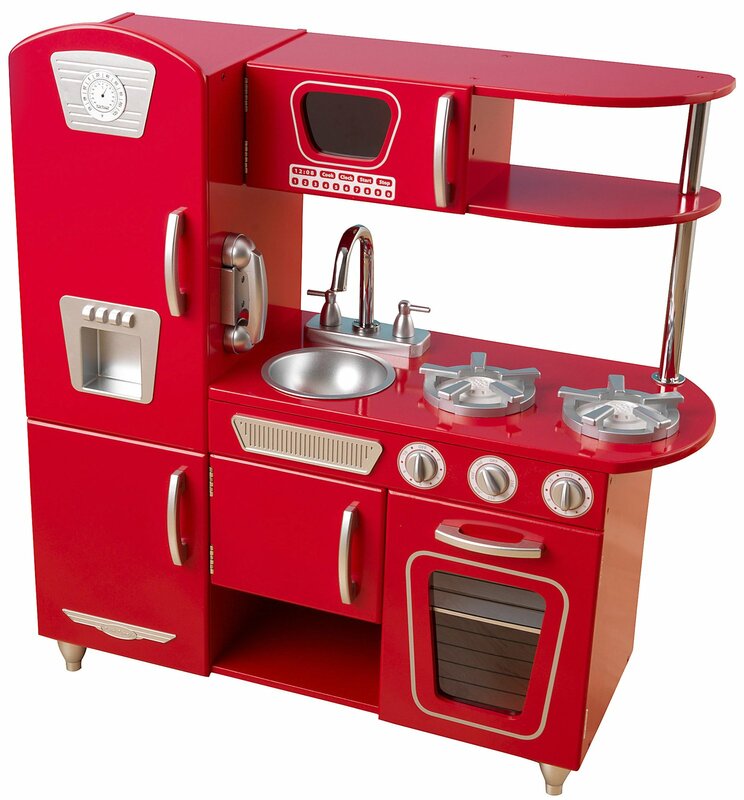 But, be warned, it is extremely well built – meaning that it will take you many hours to put together. But once it is together, your kid will have hours of fun with it. And they probably won't break it after just a few days. kitchen direct is more than simply a place to prepare meals; it is the essence of your home and an investment in your lifestyle. Whether you are looking to create a bold and punchy contrast or an understated look to coordinate with your surroundings, our team at Kitchen Essence ensure that the result reflects the character of the owner and the home.